NICE inContact is the cloud contact center software leader, with the world’s No. 1 cloud customer experience platform. NICE inContact CXone™ combines best-in-class Omnichannel Routing, Workforce Optimization, Analytics, Automation and Artificial Intelligence on an Open Cloud Foundation. 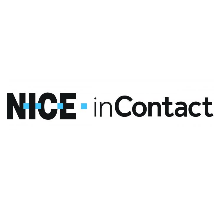 NICE inContact’s solution empowers organizations to provide exceptional customer experiences by acting smarter and responding faster to consumer expectations. NICE inContact’s DEVone developer program is the industry’s largest partner ecosystem, providing applications from partner companies on the CXexchange marketplace that are designed to integrate with CXone.